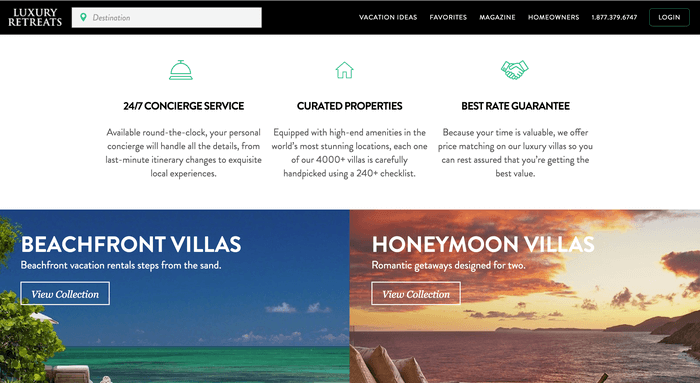 Your Travel Website Should Do These 3 Things Well – Do You Know What They Are? Or, maybe you’re strolling the streets of Paris with a fresh baguette in hand. A recent AARP study revealed that 47% of surveyed baby boomers planned to travel internationally in 2018. And they will each spend roughly $6,300 on travel this year. Millennials are even more likely to travel internationally (64%) and will each spend around $6,800 on travel in 2018. Travel can be exhilarating. But, planning a trip can be overwhelming, confusing, and scary. For most people, planning a trip starts with seeking out their trusted advisor – Google. People research where they want to go, what they will do when they get there, where they will stay, and more… right from the comfort of their own computer or phone. And, the wealth of information at their fingertips can be a lot to take in. So, if you want to attract clients your travel website must be user-friendly. 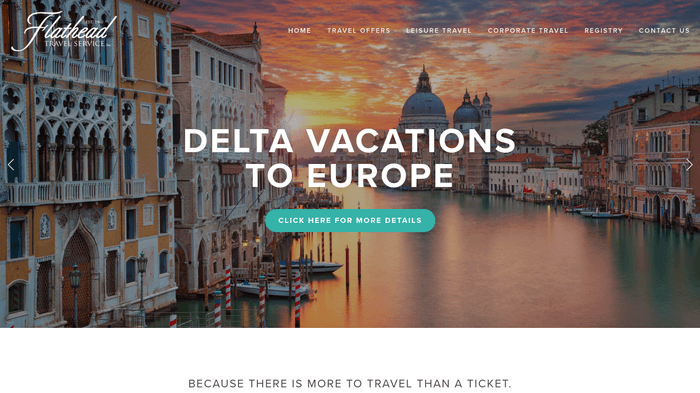 Strong travel and tourism websites will remind users of the awesome parts of travel while helping their clients overcome the more tedious and complex parts of the travel equation. To achieve this goal, make sure your travel website is designed to do the following three things well. Travel is often a “bucket list” item. The details and destinations may differ, but the desire to be whisked away to far-off places is nearly universal. And, for many, it’s a once-in-a-lifetime experience that they scrimp, save, and plan for. In other words – the stakes for your potential customers are high. People planning a trip want to know that their money will be well-spent, that they won’t be taken advantage of, and that they will be physically safe when traveling. For this reason, your website design must inspire trust. Luxury Retreats’ concierge service and guarantee make a professional impression. Visitors to your website won’t feel comfortable trusting in your expertise if your site is riddled with mistakes, amateur graphics or dated design. A brand is the sum total of the experience your customers and customer prospects have with your company. A strong brand communicates what your company does, how it does it, and at the same time, establishes trust and credibility with your prospects and customers. Your company’s brand is, in many ways, its personality. Your brand lives in everyday interactions your company has with its prospects and customers, including the images you share, the messages you post on your website, the content of your marketing materials, your presentations and booths at conferences, and your posts on social networks. The name of your company and your logo are two important elements of your brand, but your brand is much more than the name of your business and your logo. Proofread all website copy for typos, grammatical and spelling errors, and factual accuracy. Use graphics that are vectorized (especially your logo!) and can be sized appropriately on your website without showing degradation. Feature professional travel photographs that are sized appropriately for web use. Avoid stock photos if you can help it – custom photography is always a stronger look for your brand. Hire a professional website designer to make sure your site looks and functions beautifully. In a nutshell, make sure your website looks great. Poor photography, typos or inaccurate information, and clumsy design are likely to make your website visitors take a hike. But, a professional, beautifully designed website will reassure visitors that you’ve got the necessary skill and expertise to help them plan their important trip. Flathead lists 3 accreditation badges at the bottom of their website. Another way to build trust with your audience is to prominently feature your professional accreditations on your website. Accreditations from the American Society of Travel Advisors (ASTA), the International Air Transport Association (IATA) or the Airlines Reporting Corporation (ARC) all underscore your professional status and credibility. The ARC accreditation sign is a welcome sign of trustworthiness that clients want to see. I really do not believe we could have grown and remained in business without ARC. Accreditation badges reassure your visitors that your business is legitimate and can be trusted. There are many accrediting organizations. Research which ones will serve your business best. Then proudly display your membership on your travel agency or tourism website. And, if your website includes e-commerce functions, feature those badges or seals as well. If your website is PayPal Verified or protected by VeriSign, that will give site visitors confidence and peace of mind doing business with you online. 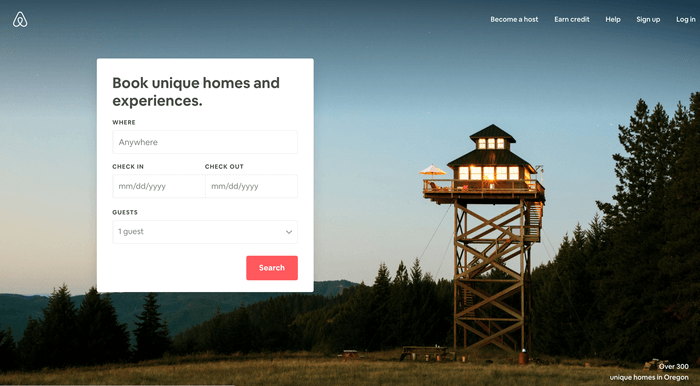 Airbnb’s clean design and simple form is user-friendly. Travel involves many different decisions and moving parts. Deciding where to stay, how to get there, what airline to choose, where to eat and what to do once you’re there can be overwhelming. Travel planning is rife with the danger of decision fatigue. Your website should demystify the travel planning process and make it as stress-free as possible. Create a clear path for your visitors to follow from the moment they arrive on your site. Whether your business helps clients search for the best flights, offers pre-determined travel packages, or helps road-trippers plan the best route, it’s important to clearly guide the client through the process. Creative travel website design is great. But it should never get in the way of communicating with your site visitors. If the client isn’t sure how to proceed, they are likely to leave your site for a simpler one. To create a clear path for visitors, avoid visual clutter. Clean graphics, plenty of white space, and concise, relevant copy will serve you and your visitors best. Only include one call to action on each page of your website so the user knows what is expected of them. Remove navigation buttons that are not relevant to the task at hand so people don’t accidentally click away. Show the user their progress status if signing up for an account or booking a trip on your website requires navigating through more than one page. Use color to help your calls to action visually stand out and draw attention. And, keep this “action color” consistent throughout your site. Gather only the information you absolutely need to help your clients. Keep forms short and to the point. Finally, consider adding educational information to your site. Travel tips and activity recommendations help to establish you as an expert resource; as well as making it easier for visitors to plan their trip. For more on website design best practices, read 10 Important Web Design Best Practices and Tips for Small Business Websites. Think about user experience every step of the way. 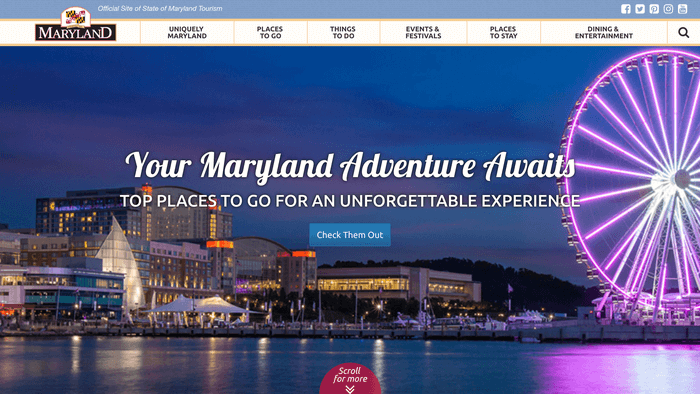 Maryland’s tourism page boasts unforgettable experiences and immersive photography. What if I was this fabulous beach goddess sunbathing on the Amalfi Coast? What if I was a rugged adventurer climbing Mt. Kilimanjaro? And for a few days or weeks, they get to live that alternate life. Travel, at its best, is about making dreams come true. Your website needs to help visitors envision those dreams. In order to accomplish this in practical terms, start by identifying your audience. Does your business cater to affluent recent grads looking to take a year off and explore Europe? Maybe your ideal clients are adventurers seeking challenging get-aways to test their survival skills. Or, you do serve retirees who want their “bucket list” trip of a lifetime? Knowing your audience will allow you to focus on what imagery to share and the language you use to evoke the services you sell. Using targeted imagery and language will help your website to resonate with your potential clients. Once you know what locales or activities to feature, acquire photographs that or represent your target audience enjoying those locales or activities. The photographs you use must be high quality and large enough that a viewer can be transported to that scene in their mind. Small, poorly-lit, grainy photos won’t suffice. The copy you use is also important. Use vividly evocative and concise language to support the photos and help carry the visitor away. Travel is exciting. But, it can also be intimidating. So, make sure your travel website is designed to build trust and give your visitors peace of mind. Clear calls to action and unambiguous design will pave the way for clients to enjoy the fun and excitement of their trip instead of getting mired down in the planning. Katie is a problem solver, writer, teacher and reluctant video game enthusiast. In her spare time Katie fought for the Union at the Battle of Gettysburg in 2003. She has also created marathon fashion for a super villain, a horde of alien fashionistas, and a magical dress that transforms from rags to rococo riches before your very eyes.